Chainsaws are a tool worth investing in if you ever have any cutting jobs you need to complete. Their variable sizes and power provide unparalleled strength to your limbing, trimming, logging, and other cutting related jobs. What is the Dolmar Chainsaw Brand? Why Would I Want a Dolmar? 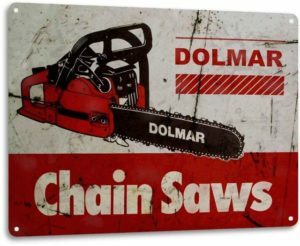 Dolmar chainsaws have been around since 1927 with the creation of the world’s first petrol-powered saw. This revolutionized the forestry industry, and through the years the company has gained a solid reputation in both professional and residential circles. In 1991 Makita acquired Dolmar, but both brands still continued under their separate names and brand colors of teal and black, and red and white respectively. 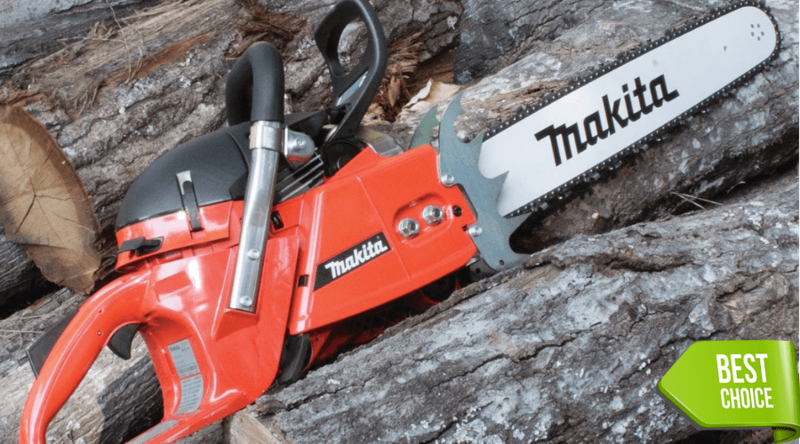 Recently, due to consumer-driven purchases, the two are making the full merge complete by selling off all existing stock and beginning the sales of a new red and white chainsaw design using the name Makita, rather than Dolmar. Therefore, if you are searching for a Dolmar saw, be sure to include the Makita name in your searches as they are the same brand. As mentioned, Dolmar was created by the earliest inventor of a fuel powered saw. It has a strong professional following and provides a wide variety of possible choices from which to choose no matter what size job you have in mind. 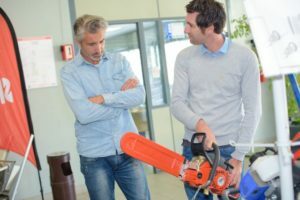 The name belays innovation and durability, and despite the merging of the company names, is still a chainsaw worth considering. Dolmar, or Makita, saws have both electric and gas powered saw choices from which you can choose from. This wide variety of choices lends itself well to personal preferences without sacrificing power for the job you have in mind. With the brand name merger complete to reflect the Makita Power Equipment line of products, they have broken their model types into three categories to reflect individual power for the types of jobs they are made for. The separate Dolmar and Makita chainsaws, still sold under their original brand names, do reflect comparative saws offered under the merged brand and color combination. These are high power to weight ratio saws made for heavy duty logging and bucking jobs. Defined by 18 inch and larger bar and chain capabilities, the engine’s displacements fall between 50 and 79 ccs. These are perfect choices for landowners who have regular forest woodland maintenance needs, as well as commercial businesses in need of durable, long-lasting power. The Farm and Ranch models are made for regular, powerful use pertaining to moderate to heavy job loads. With a 35 to 50cc engine displacement, bar and chain lengths fall between 16 and 18 inches to provide long-lasting power and easy to handle designs. 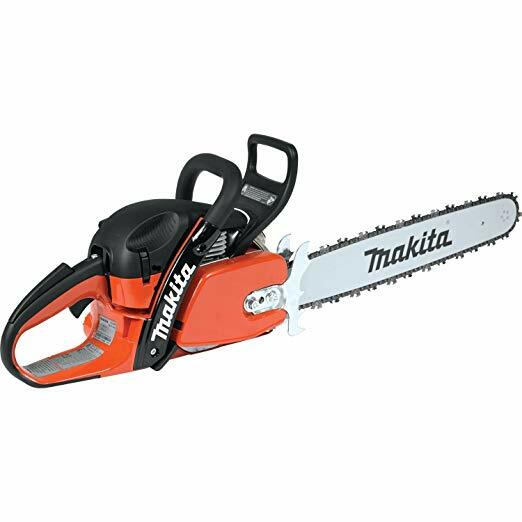 These 32 and 35cc chainsaws can handle 14 and 16-inch bars for occasional use in and around your home. These are great choices for construction purposes, limbing and trimming trees and heavier, woody brush. 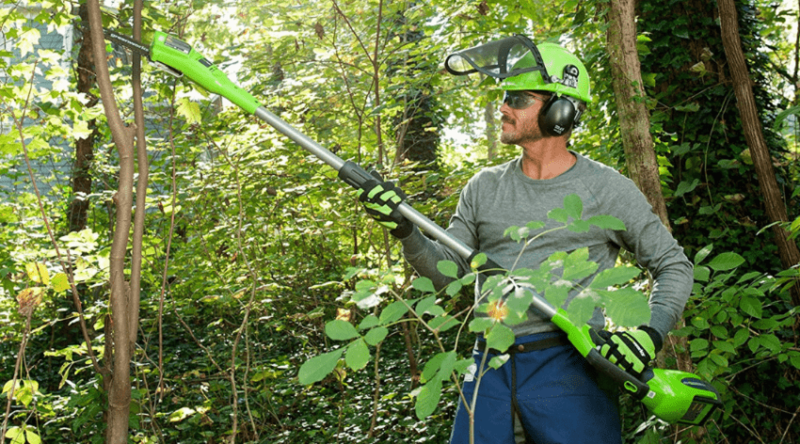 Electric saws, both corded and cordless, provide unexpected power comparable to gas-powered chainsaws of the same size to complete light to moderate (and the occasional heavy) job load. These are great for home use to complete construction jobs, firewood cutting, limb and branch cutting, or any other property cleanup you may have. Chainsaws of all sizes are incredibly powerful tools, and it is easy to make a mistake in your choices by choosing a saw much larger than what you need. Larger saws may seem to be the best choices due to the larger amount of jobs they can handle, but larger does not mean the most efficient. They will be heavier, harder to handle, and have more vibration due to the engine size. These are not conducive to smaller jobs and can be downright dangerous. Smaller saws are very capable of handling large jobs with patience and care when it is an occasional need. How much experience do you have with a chainsaw? If you have never handled a saw, or only worked with smaller powered saws, then you may want to get some experience with something larger if that is something you are considering for purchase. Knowing how stronger engines run and are balanced, and how to handle a longer bar and chain can help you better understand your own personal preferences. 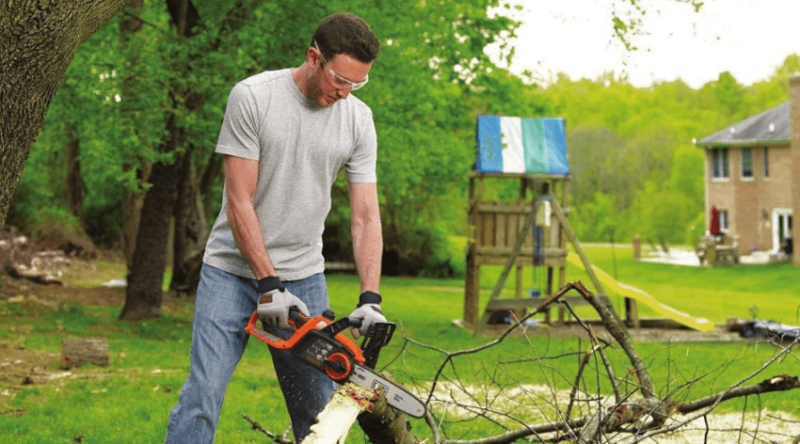 Chainsaw maintenance is crucial to keeping your saw running both efficiently and safely. Knowing the inner workings of your saw and keeping in clean and sharp extends its life, and gives you a good understanding of what it can handle. 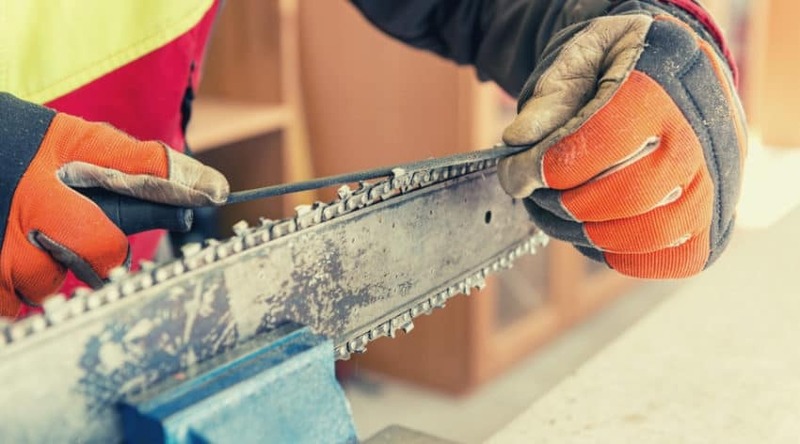 Maintaining any type of saw is fairly simple and is an easy skill to learn, plus should be a must when working with a dangerous, powerful tool. There are still plenty of the original Dolmar and Makita saws still available, as well as the newer saws offered under the combined Makita Power Equipment name. Our top choices are picked from all currently available saws to provide you with the best example of what type of size and strength of saws may be best for light through heavy homeowner use. This corded electric saw is built specifically for ease of use and convenience for light to moderate cutting jobs around your property. The occasional heavy duty job can be completed as well with a strong 14.5 amp allowance that powers the handy, 14-inch bar. Plus, the built-in current limiter protects the engine from burnout on larger jobs. Tool-less bar and chain adjustments for even easier maintenance are standard on this model, and the rubberized grips and large oil reservoir keeps you working comfortably. A handguard, low kickback bar, and chain, and anti-vibration, combined with the low sound and low overall weight provides seriously easy usage. This is a strong chainsaw choice for homeowners who have no problems with using a corded saw as it provides comparable strength to moderate gas powered saws. It also has very little maintenance pertaining to it outside of minor adjustments, cleaning, and chain sharpening. 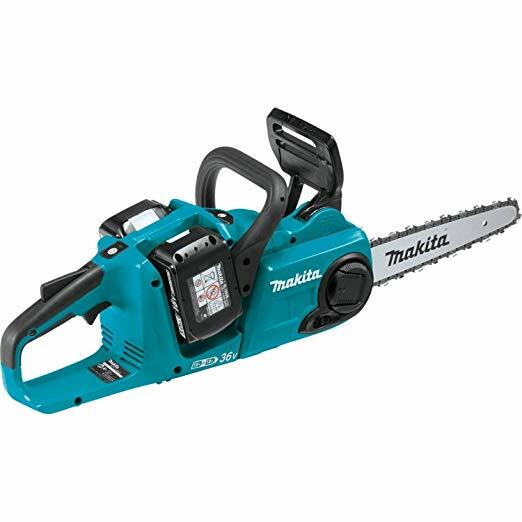 This lithium-ion, cordless chainsaw runs off of 2- 18-volt batteries for a total of 36 volts powering a 14-inch chain. 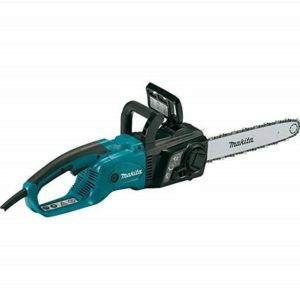 This makes this particular model one of the more powerful cordless versions available, and it is more than capable of handling all your light to moderate job loads, with the occasional heavy cutting job thrown in. The built-in on/off switch has auto-power function and is backlit by an LED light and shuts off when chain operation is delayed to save on battery power. A built-in lock-off level also keeps the blade from accidentally engaging. The batteries are fully operational within the Makita cordless battery systems as well. 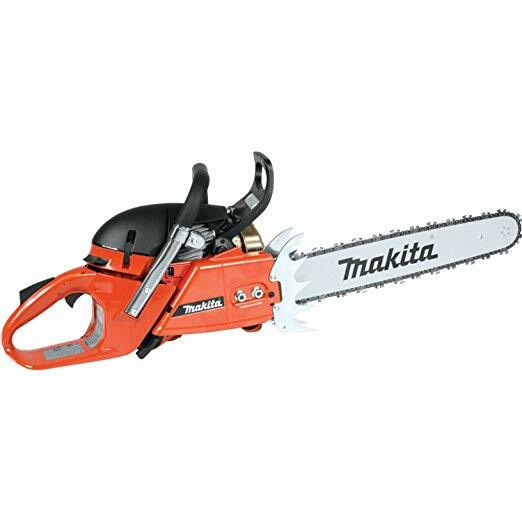 Anyone looking for portable power that can handle heavy work from time to time, and is willing to invest in a cordless system will more than like this chainsaw. The battery charge is more than enough for long run times with light to moderate work that takes no time at all due to the power provided by the 2 batteries. A 32cc engine sounds small, but it is nothing to turn away from. With a 14 inch bar, it is more than capable of handling just about anything you need to cut with a bit of time and care with larger jobs. The compact design lends itself well to easy portability and makes quick work of anything you may need to make a fast job of around your home and yard. Tool-less chain tensioning, a two-point mechanical chain brake and a single lever control shuts off the engine quickly if needed. Low kick back and anti-vibration technology helps round this well balanced saw out, plus it has an easy to clean chain compartment for fast removal of wood chips. This is a perfect homeowner saw, and a great beginners saw for anyone in need of a gas powered choice but new to the machine. It makes fast work of small and moderate jobs and can be counted on for the occasional heavy duty job as well. 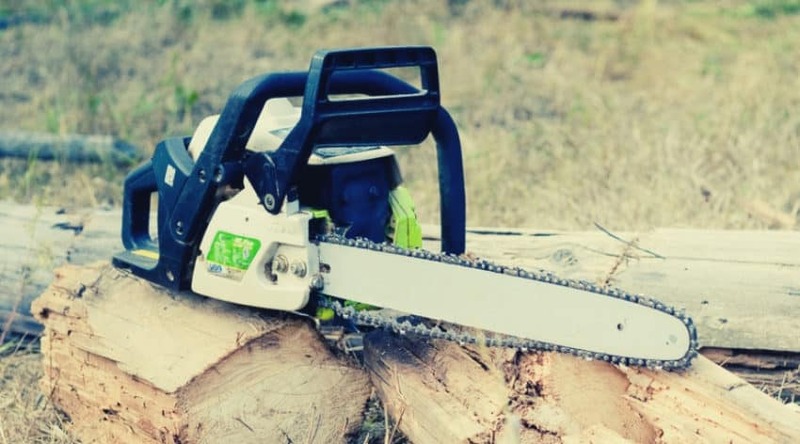 A 50cc engine displacement is nothing to scoff at and is typically a great choice for when you are in need of a chainsaw to use regularly, milling lumber, firewood cutting, and heavy personal workloads. This model has an 18-inch bar and chain, and with a mere 11.9 lb weight, is considered a lightweight, versatile saw for both home and commercial usage. Easy starts and low vibration technology are part of the features that define this saw and combined with a slide out baffle for cold weather configuration, makes it highly versatile. It also has an easy to clean chain compartment, lateral chain tightening, and an adjustable bar and chain oil lubrication for better efficiency. This high power to weight ratio makes this saw a great choice for homeowners who need a bit more power behind their cutting projects. 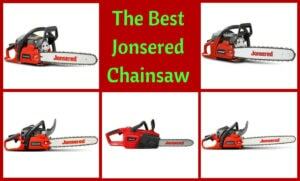 It also is a great choice for business owners as a dependable saw they can use for just about any type of job. This is a true professional grade saw that boasts a large, 64 cc engine displacement that can handle a 20-inch chinas it comes with ease. At 13.9 lbs, it is one of the lightest in its category with an amazing 4.7 HP that has a maximum engine speed of 13,500 rpm. This keeps you working long hours on the heaviest jobs with no problem. Easy start, half throttle lock, and fully electronic ignition ensure you have no problems getting started every time you fire it up. Plus, like Makita’s smaller models, also has east clean out and advanced vibration reduction for more comfort while you work. It also goes to say it is easy to adjust tension, as well as boasting the cool baffle adjustment for cold weather efficiency. This is a true professional model for work in heavy timber, cutting and bucking trees. 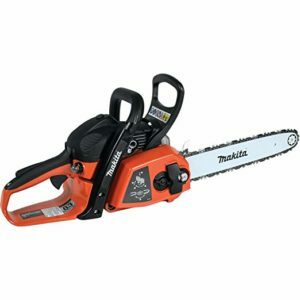 It is a long-lasting, and durable model and would work well in any situation where regular chainsaw dependability for large loads are needed. It also can handle a longer bar and chain if needed. Of course, your needs as a homeowner may vary greatly, and choosing between an electric and a gas model can be a hard decision. Electric models truly are powerful little tools and come in handy with very little maintenance to worry about. You can grab them quickly and get a job done without checking anything but the tension and bar and chain oil. Gas-powered saws take a little more attention to detail prior to firing it up but have the portable power and greater range of versatility overall. Using too powerful of a saw on your smaller jobs actually can be quite fatiguing, but if you have a wide range of cutting needs, including heavier, longer lasting jobs, our favorite is the Makita 18″ 50 cc Chain Saw. It has serious power for all-day workloads but is also light enough to keep from wearing you down. The easy cleaning, startup, and cold weather compatibility are features Makita is known for, creating a dependable saw that should last you years with proper care. If you have any questions about the merge of the brand names, or the products offered, please let us know below. And, as always, please share.